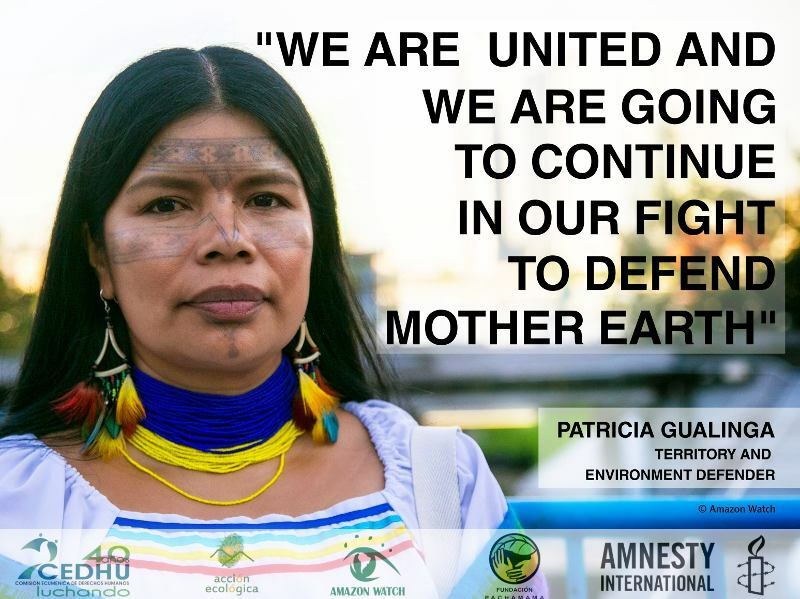 AMAZON WATCH » A Victory in the Struggle for REAL Climate Solutions! When we left the hearing room, the relief was palpable. After hours of testimony, we – indigenous leaders and environmental justice advocates – had convinced a powerful California regulatory agency not to rubber-stamp a proposed framework that (as we argued in our testimonies) amounted to a easy out for polluters at the expense of forest peoples and frontline communities. If approved, this Tropical Forest Standard would give California's stamp of approval for forest carbon offsets and lay the groundwork for California to incorporate international forest offsets into its cap and trade program. Offset programs allow big polluters like oil refineries and airline industries to pay to "protect" forests and other carbon sinks instead of actually decreasing their own carbon emissions. 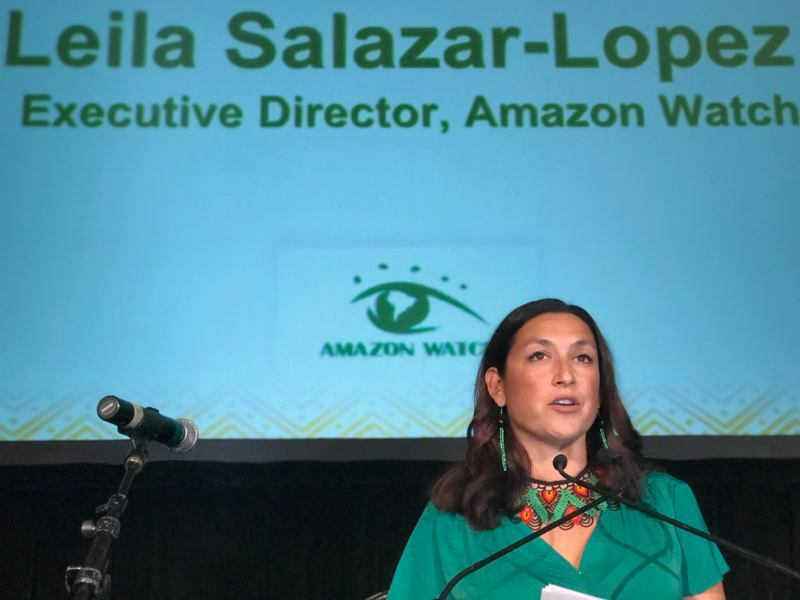 For these reasons and more, Amazon Watch and hundreds of other organizations, community groups, and academics were adamantly opposed to the Tropical Forest Standard. We know that climate action is urgent and that protecting tropical forests is key to averting catastrophic climate change. And we know that expanding carbon offset markets won't protect vulnerable communities or help the world actually reach our climate goals. Among the people testifying to the Air Resources Board was Marlon Santi, the national coordinator of the indigenous party Pachacutik and the former president of the Kichwa people of Sarayaku. Both he and other leaders in the international delegation to the meeting raised the human rights implication of the Tropical Forest Standard and other programs falling under the rubric of REDD (Reducing Emissions from Deforestation and Forest Degradation). 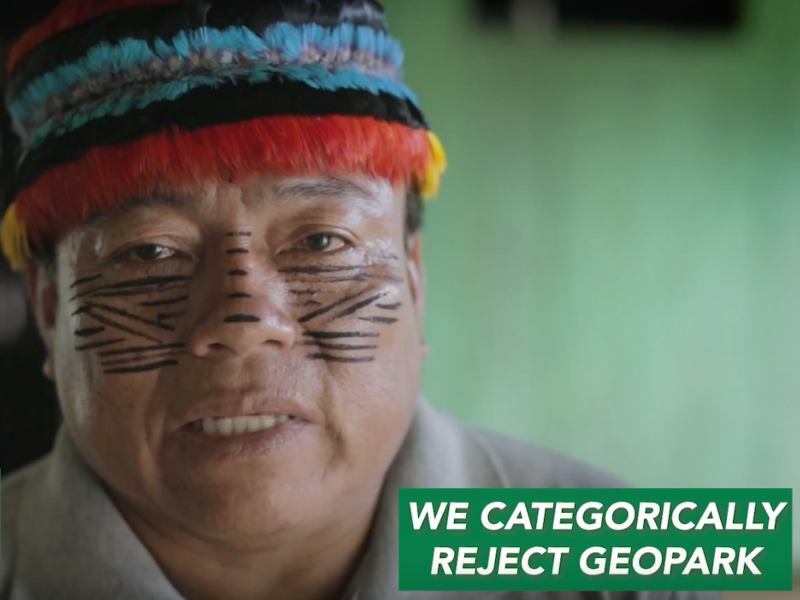 These programs lack the means to ensure that governments and companies adequately consult indigenous peoples and respect these communities' right to reject any project on their territories, enshrined in international norms as the right to Free, Prior, and Informed Consent, or FPIC. 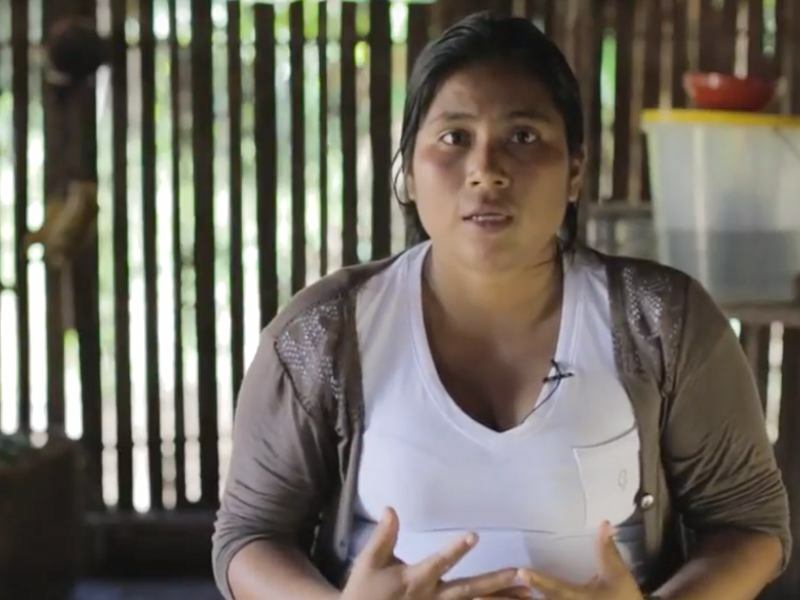 After all, many communities don't want to see their sacred forests commodified in the first place. 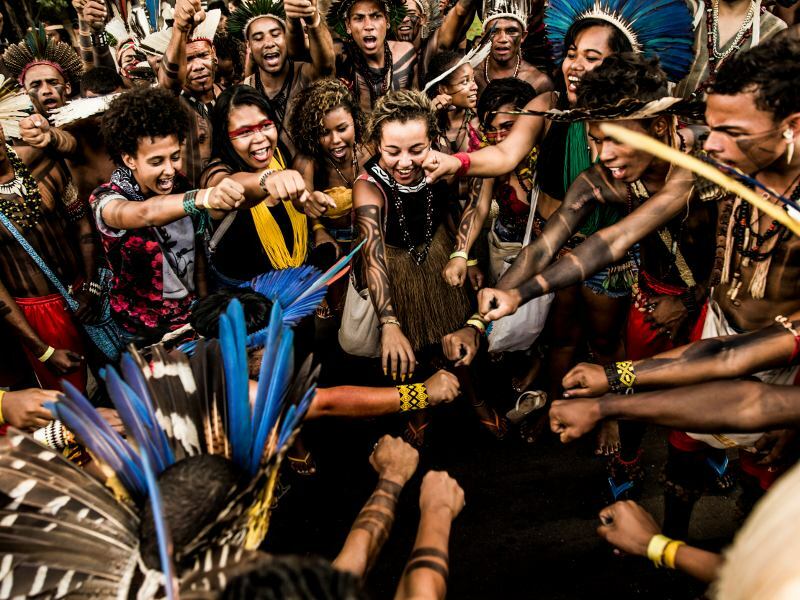 In Marlon's words: "We are defenders of the forest and the sky. We will not allow the sky to become a business venture. If you want to save the planet, you have to stop being hypocrites. 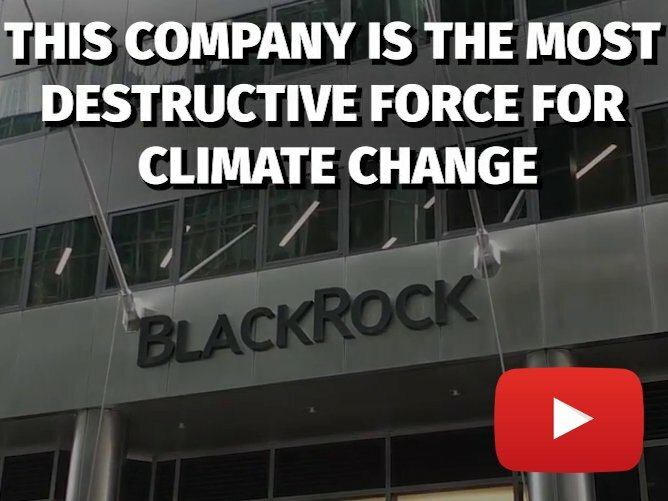 You have to reduce carbon emissions at their source and keep the oil in the ground." Likewise, at Amazon Watch we believe that California should start in its own backyard by denying all new permits for fossil fuel infrastructure in the state. New research from the Stockholm Environment Institute supports this call to action, calling it "the next big step in climate policy." California must also make a plan to get the state off of fossil fuels altogether, including ending imports of crude oil from the Amazon rainforest. Half of all oil exported from the western Amazon is purchased and processed by California refineries. That the Tropical Forest Standard could eventually allow these same refineries to turn around and purchase offset credits from Amazonian regions devastated by oil drilling is ironic and deeply troubling, as is the fact that offset programs allow industrial polluters to continue spewing toxins into low-income and communities of color in California. Because of all the connected harms that a tropical forest standard could bring, the opposition to the standard was diverse and powerful. On Friday, our coalition, made up of indigenous leaders, environmental justice advocates, and green organizations, did something that seemed improbable: we convinced the board of the most powerful regulatory body in the state of California to press pause on a regulatory framework it has been crafting for decades. In the coming weeks and months we will hold meetings and brief policymakers and regulators about alternatives to international forest offsets and we will continue to raise our voices against false climate solutions. But for now, we will take a deep breath and celebrate this important victory.